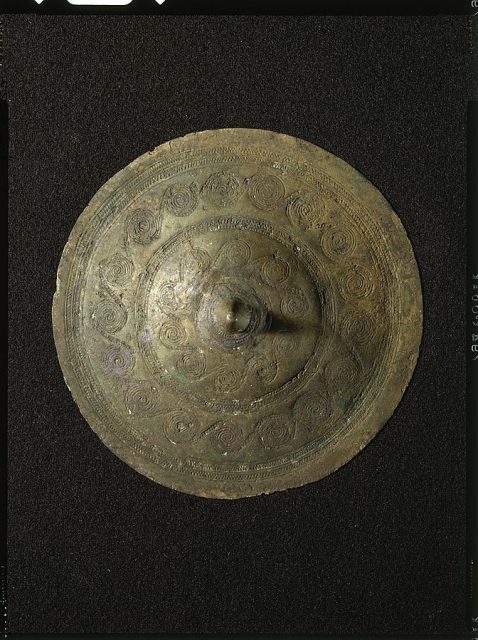 Do you have any idea who was one of the most fashionable figures of Bronze-Age Europe? Hint: She was buried in Denmark, but could have been born in Germany. Another hint? In popular culture, her outfit has been recreated and reproduced over and over. The answer? The Egtved Girl, who was only around 17 years old when she died. 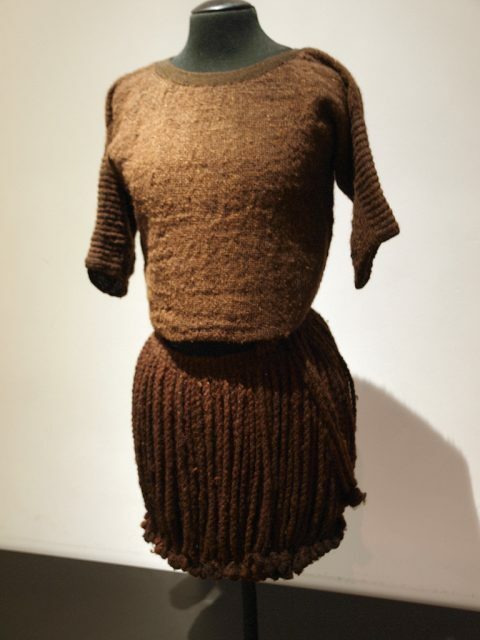 She sported a timeless modern-looking woolen tunic, combined with a short skirt of woolen cords. It’s how she was laid to rest in a burial mound after she succumbed to a disease, sometime around the year 1370 BC. 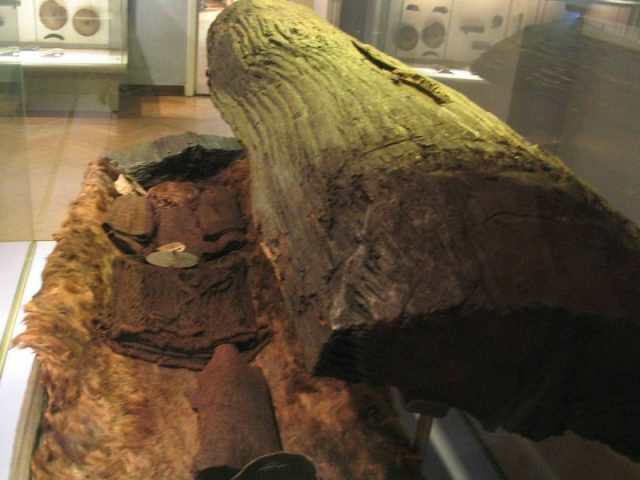 Her remains were found an oak coffin, near the village Egtved in Denmark, hence the name. Besides her clothes and other items buried with her, little was left of the body of the young girl: only her hair, nails, teeth, with tiny bits of the skin. Yet, this was enough for modern science to piece together a captivating story from the Bronze Age days. 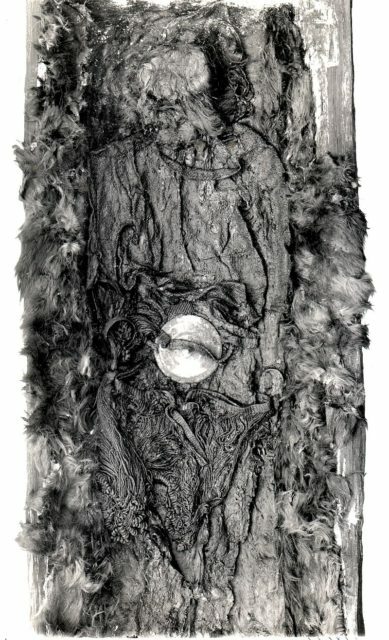 The coffin and remains of the Egtved Girl. In essence, the Egtved Girl brings a very modern story under the spotlight, besides the association to fashion. She is thought to have been a priestess of some high rank, or at least a woman who had a claim of power and was autonomous. 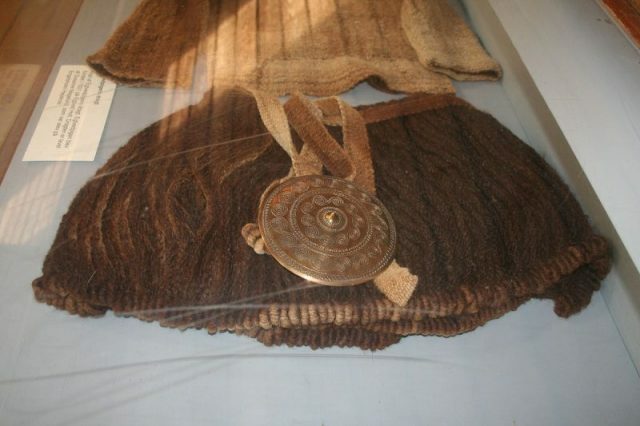 A belt of bronze adorned with spirals and positioned on her abdomen was also found in her grave. According to the National Museum of Denmark, this could have symbolized the sun, which bore a great significance in Bronze Age belief and religious practices. She wore bronze rings around each arm, and a tiny bark-made box had been placed by her head, containing the leftovers of a hair net as well as a bronze awl. By her legs, a small cask which would have once contained some kind of liquor. And also, a bundle of clothes containing the cremated remains of a child not older than six. 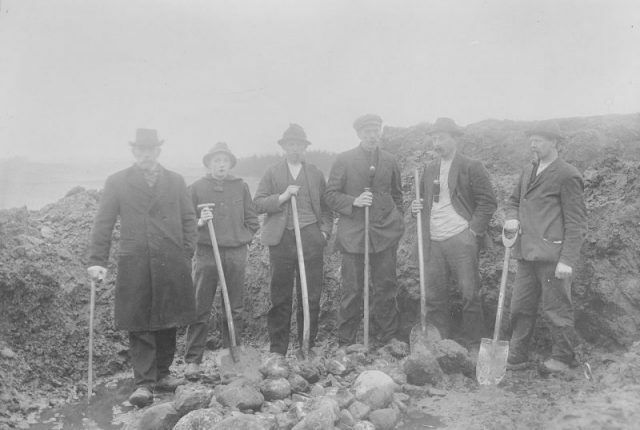 Although archaeologists discovered the Egtved Girl’s grave in 1921, it still took decades and the advantage of modern science to pin down more details concerning this extraordinary find. Analysis of strontium present in the girl’s teeth, thumbnails, and hair, seems to have been key. The traces of this element helped researchers paint a clearer picture of what was the girl doing during the last few years of her life. According to a research paper published on her case in 2015, in the journal Scientific Report, the prehistoric teenager, although excavated in Denmark, probably originated from southwest Germany. She would have commuted between her native Black Forest area (Schwarzwald) and Denmark, back and forth, at least twice in the years before her death. She had returned to the territory which is Denmark today just a couple of months before passing away. Scientists have been able to confirm this interesting level of mobility precisely due to the strontium analysis. The element which is found in rocks, further concentrates in tissues of animals and plants, after being absorbed by living things through water and food intake. Its variations at the molecular level are subtle, but — importantly — differ from one geographical area to another. Pinpointing the exact strontium traces have helped tell the girl’s movement and origin. The research outcome was also helped by analysis of the Egtved Girl’s possessions such as the woolen fibers of her blouse. So, why was the girl traveling back and forth between Germany and Denmark? It is impossible to know the exact circumstances, but several theories are plausible. The girl could have traveled the distance in order to strike a trade deal, say researchers, possibly making the journey alone. It was possible for a woman to represent her entire family alone back then, especially if the Egtved Girl came from a prominent family and did not have a brother among her siblings. Whichever the exact details were, the girl would have had a certain claim of power. She was apparently not bound to home and domestic duties. As the Bronze Age marked also an era of growing alliances between different Chiefdoms, the girl might have even been sent as a bride to Denmark, to assure an alliance that would forge a better trade deal, according to National Geographic. 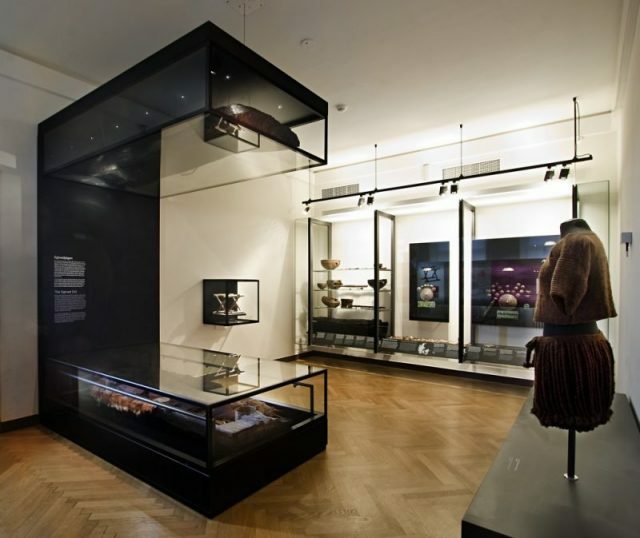 “It’s possible that women of the northern Bronze Age were able to make negotiations and establish friendships by themselves, and not necessarily through marriage connections,” also says Flemming Kaul from the National Museum of Denmark, for National Geographic. 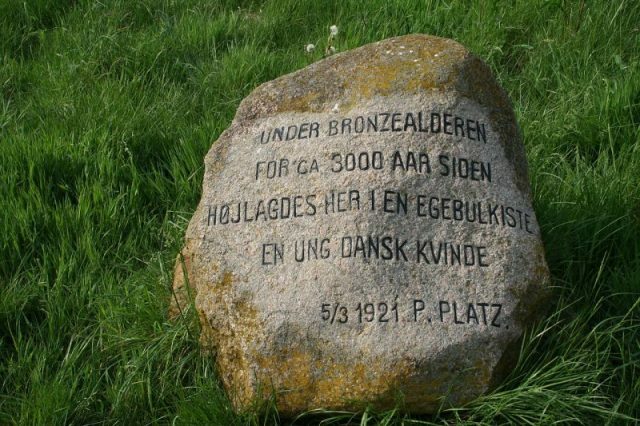 Both Denmark and Germany were power centers during the northern Bronze Age and people evidently engaged in complex relationships, despite distances apart. The assets found in the grave of the Egtved girl further hint at how complex society may have been. For instance, the girl’s belt with the sun symbol was made of bronze which originated from someplace such as the Alps, according to Live Science. And so it seems, just like in modern times, Bronze Age people were likely demanded to travel great distances to strike any sort of deal, too. The Egtved Girl might have just been one of those individuals. 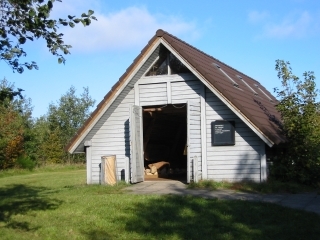 Today, the remains of the Egtved Girl, including a recreated version of her clothing, can be checked out at Denmark’s National Museum. Another set of recreated clothes is displayed at the Egtved Girl Museum close to the place where the girl’s remains were excavated. Concerning the remains of the child that rested in the oak coffin along with the Egtved girl, it is uncertain if the pair was related among each other. The child did spend time in pretty much the same areas as the Egtved girl, but as with other details of this entire case, we are left to let our imagination wander on all the possible answers.